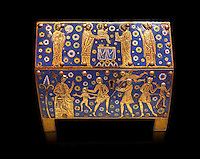 Pictures of Limoges enamel plaques and reliquaries. 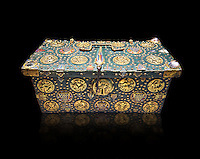 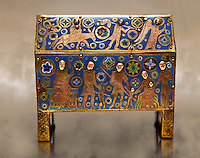 In the Medieval 12th century Limoges in France was well known for its enamel work known at the time as Opus de Limogia. 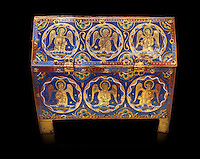 Limoge produced Champleve style enamel work which was made by carving, stamping or etching troughs into copper which were then filled with coloured enamels and fired. The technique of Champlevé allowed the artisans of Limoge to produce finely detailed and intricate decorative finishes. 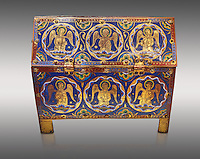 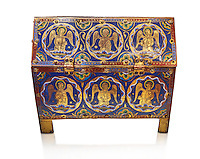 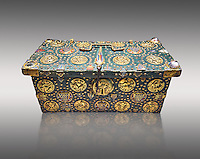 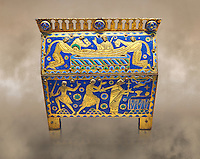 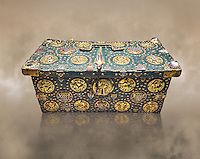 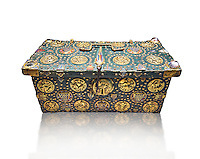 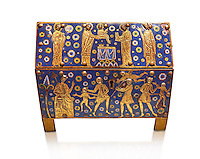 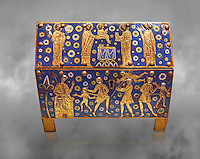 One of the most popular products from Limoge of the twelfth and thirteenth century were Champlevé enamel reliquaries. 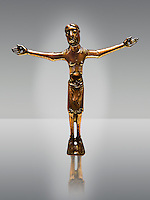 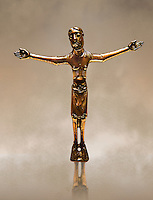 The sale of Christian relics in the Medieval Period was big business and a vital source of income to churches that exhibited them for Pilgrims to come and worship at. 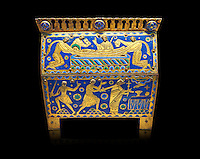 Limoge Enamels of this period were predominantly blue enamel against a copper background. 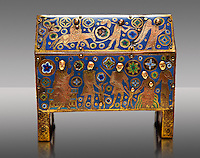 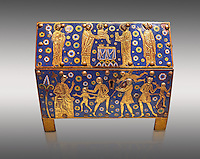 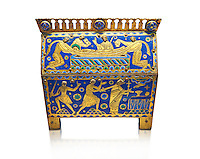 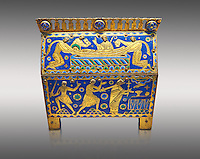 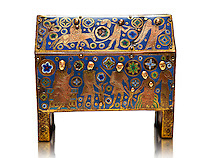 Popular themes for Limoge enamel reliquaries were the Slaughter of the Innocents and the martyrdom of Thomas a Becket. 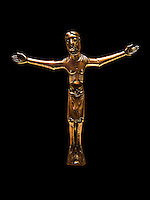 Limoge enamel crucifixes were also popular as were Limoge enamel Crosier heads that would have adorned the top of staffs used in ceremonial processions by Bishops and Archbishops. 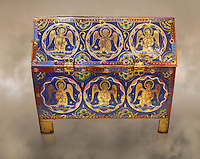 The simplicity of the simple colours used in Limoge enamel of this period makes them one of the most beautiful Medieval artefacts. 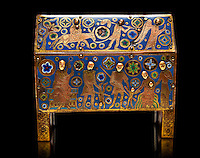 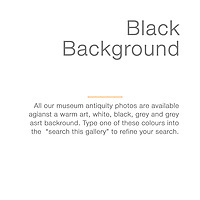 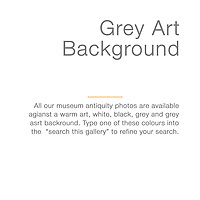 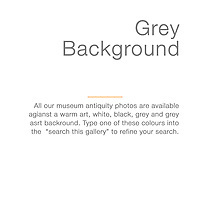 Download royalty free stock photos of Limoges enamel or buy on line as photo wall art prints.